Rome is at the center of one of the most attractive and most culturally rich countries in Europe (they all are culturally rich, of course, but Italy has been gifted with a history that lies at the very core of what Europe is today – ergo, its attractions are a true must for anyone in love with travel, culture, and history). What are some of the things you are not allowed to miss when you visit Rome? The Colosseum. Without doubt, this is one of Rome’s most ancient and most visited attractions ever – and not without reason. 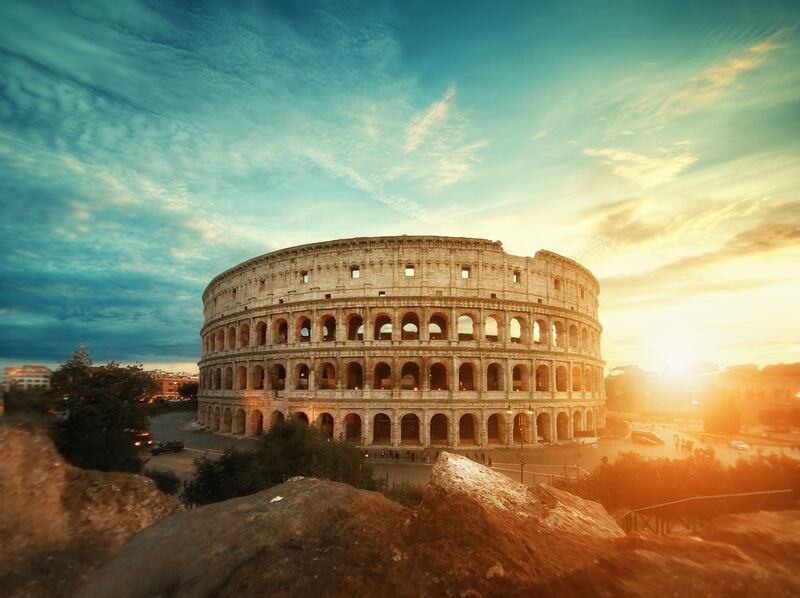 This place hides so much history in it and is so symbolic of the Roman Empire and Italy’s past that you are simply not allowed to visit Rome without stopping to gaze and the wonder and allow yourself to sink into the history of the Colosseum. Fontana di Trevi. This splendid work of art is free to visit and appreciate. Created in the 17th century, the Trevi Fountain has been captured in so many movies and millions of travel photos so far, so it has grown to be one of the single most popular attractions not just in Rome, but in Italy and maybe even around the world. Contrary to the popular misconception, tossing a coin in the fountain is not said to make a wish come true, but to make the specific wish of returning to Rome come true. And trust us, once you bathe in the glory and beauty of this city, you will want to return! The Baths of Caracalla. Now in ruin, the Baths of Caracalla represent more than just a vestige of the antiquity: they are the very proof of what an advanced society and economy Romans were. Once you understand that this was not just a public bath (as you will encounter everywhere in the Roman Empire), but a full sports center, you will also understand that, as a society, we might actually be closer to Romans than our Medieval ancestors. Amazing, right? Looking for your nest big trip? If you want to travel in style and not have to worry about a thing, be sure to contact Geauxing Places Travel – our travel packages are here to provide you with the experience of a lifetime!